McClure’s Barbecue is known for their smoked foods. They are consistently ranked as one of the top 10 best barbecue spots in New Orleans. While the various smoked meats, the variety of sandwiches, hamburgers, and selection of sauces are the main draw that gets you in the door, it’s the amazing set of side dishes that separate this joint from the others. Some of the popular sides, notably listed on the USA Today’s ‘10 Best‘, are the smoky collard greens and the pork & pork & beans. NOLA.com recommends the barbecue jambalaya and jalapeno cornbread. On Monday’s, there’s an added side: Neil McClure’s Red Beans & Rice. 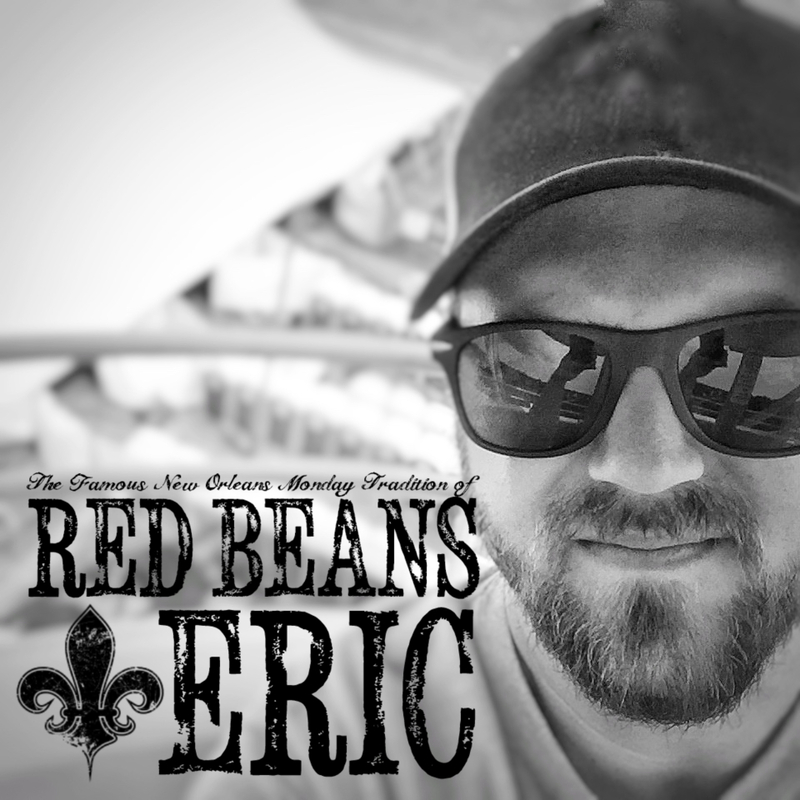 In my ‘How Do You Red Bean?‘ interview with McClure, he said that he soaks his red beans in NOLA Brewing Company’s Brown Ale overnight. Of course, McClure includes a variety of smoked meats to the pot – which is typically smoked rib meat and pulled pork, but he also adds smoked onions and smoked garlic to the beans which bring in a new level of flavor to the final product. What should you pair with McClure’s Red Beans & Rice beside one of the 32 brews that the NOLA Tap Room has to offer? Buttermilk-soaked fried chicken. Along with the red beans, this fried chicken has been a Monday staple at McClure’s Barbecue. If you’ve been following them on Instagram, you’ve probably drooled over the photos that they share every Monday. McClure’s fried chicken is so good in fact that Eater NOLA named them one of the Top 5 Places to get Fried Chicken in New Orleans. Now, how’s that for a Monday? The McClure’s Barbecue shirts say: You Don’t Win Friends With Salad. It’s true. You win friends with fried chicken and red beans and rice. Soak the red beans overnight in a bottle of NOLA Brewing Blonde Ale and enough water to cover for 24 hours. Before cooking, drain and rinse. In a large pot, over medium heat, cook the bacon for about 3 minutes, then add more grease or oil to the pot. Add the diced smoked onions, green bell peppers, celery, and smoked garlic. Once the trinity is heated through, add rib meat, sausage, and pulled pork. (Try to have less meat than beans by half.) Season with the Crystals Hot Sauce, Creole Seasoning and salt and pepper. Add the red beans to the pot along with the 4 bay leaves. Pour in enough stock to cover the beans with 3 inches to spare. Bring to a boil, reduce heat; simmer until the red beans are done. Add more stock as needed. Not a common name Mc Clure…Scottish, I was in school in Scotland with a Willie Mc Clure and can honestly say it’s the first time I’ve heard the name in America.. will be checking this place out on my next visit!